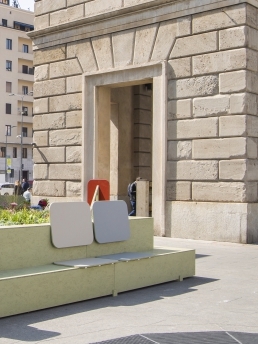 Project team: Davide Fabio Colaci con Giuseppe Cirillo e Nicola Brasetti. 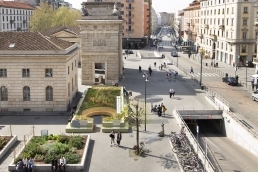 Progetto del verde Dario Valenti. 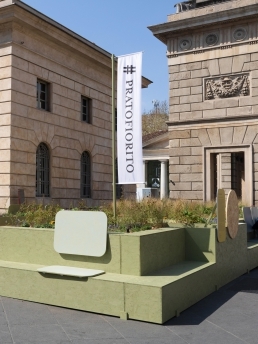 PRATOFIORITO is a temporary garden, located in Piazza XXV Aprile, promoted by Eataly in collaboration with Slow Food Foundation for Biodiversity and the support of the Municipality of Milan. 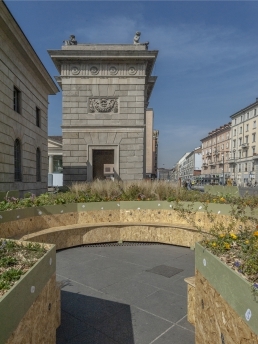 Designed by the architect Davide Fabio Colaci together with the students of the Polytechnic University of Milan and the garden designer Dario Valenti, it donates a field full of flowers and plants, that stimulate the urban biodiversity to the city. 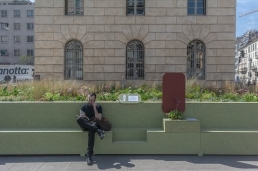 It is an open place, composed by an embankment enclosed by a bench that surround a small protected arena for outdoor activities. 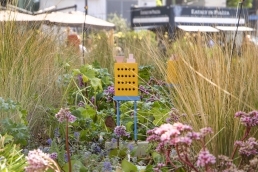 A garden that mix togheter species, educational content and activities related to “Bee the future” project. 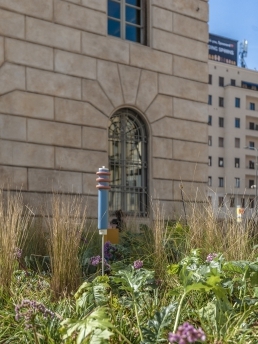 The purpose of the project is to bring back the biodiversity of weeds through a three-year commitment to reforestation of 100 hectares in Italy with flowers loved by bees (Calendula / Mustard / Flax / Mallow), because we must not forget that “To make a seed you need a bee!”. 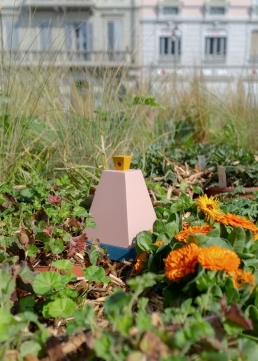 Inside the garden there are a distributor of organic seeds of the company Arcoiris and free thematic installations made by architecture students of Polytechnic University of Milan.